From Amazon: A quirky and original comic fantasy from talented Gollancz author Alex BellLaw student Lex Trent’s world is inhabited by fearsome magicians, ageing crones and a menagerie of Gods and Goddesses. And while Lex is seemingly dedicated to his legal studies he’s always enjoyed a challenge – which is why he leads a double life as the notorious cat burglar ‘The Shadowman’ who has been (luckily) evading capture for years. But Lex’s luck is about to run out because the Goddess of Fortune has selected him to be her player in the highly dangerous Games. Losing is not an option for Lex (particularly as it so often involves dying) but can he really win each of the perilous rounds? Given that the reward for doing so is money, fame and glory – all things that Lex is quite keen on – he’s going to do whatever it takes to make sure he will... and he’s certainly got good experience of cheating. From Goodreads: As if trying to fit in at a new school isn't stressful enough, sixteen-year-old Nikki Donovan just found out that her long-lost father is, in fact, the demon king of the Shadowlands—the world that separates and protects us from the Underworld. When she is brought there by the mysterious—and surprisingly cute—messenger Michael, she learns that her father is dying, and he wants her to assume the throne. To complicate matters, a war is brewing between the Shadowlands and the Underworld, her half-demon qualities are manifesting, and her growing feelings for Michael are completely forbidden. 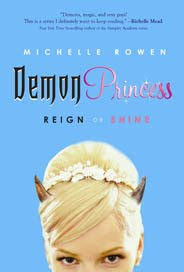 Ruling a kingdom, navigating a secret crush, and still making it home by curfew—what's a teenage demon princess to do? From Goodreads: Cassandra Renfield has always seen the mark—a glow around certain people reminiscent of candlelight. But the one time she mentioned it, it was dismissed as a trick of the light. Until the day she watches a man awash in the mark die. After searching her memories, Cassie realizes she can see a person’s imminent death. Not how or where, only when: today. Armed with a vague understanding of the light, Cassie begins to explore her “gift,” seeking those marked for death and probing the line between decision and destiny. Though she’s careful to hide her secret—even from her new philosophy-obsessed boyfriend—with each impending death comes the temptation to test fate. But so many questions remain. How does the mark work? Why is she the only one who sees it? And finally, the most important of all: If you know today is someone’s last, should you tell them? From Goodreads: Zara collects phobias the way other high school girls collect lipsticks. Little wonder, since life’s been pretty rough so far. Her father left, her stepfather just died, and her mother’s pretty much checked out. Now Zara’s living with her grandmother in sleepy, cold Maine so that she stays “safe.” Zara doesn’t think she’s in danger; she thinks her mother can’t deal. Wrong. Turns out that guy she sees everywhere, the one leaving trails of gold glitter, isn’t a figment of her imagination. He’s a pixie—and not the cute, lovable kind with wings. He’s the kind who has dreadful, uncontrollable needs. And he’s trailing Zara. With suspense, romance, and paranormal themes, this exciting breakout novel has all the elements to keep teens rapidly turning the pages. From Goodreads: Morgan Sparks and Cam Browne are a match made in heaven. They've been best friends since birth, they tell each other everything, and oh yeah- they're totally hot for each other. But a week before their joint Sweet Sixteen bash, everything changes. Cam's awkward cousin Pip comes to stay, and Morgan is stunned when her formerly perfect boyfriend seems to be drifting away. When Morgan demands answers, she's shocked to discover the source of Cam's distance isn't another girl- it's another world. Pip claims that Cam is a fairy. No, seriously. A fairy. And now his people want Cam to return to their world and take his rightful place as Fairy King. Determined to keep Cam with her, Morgan plots to fool the fairies. 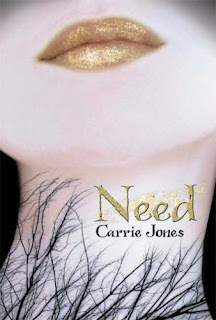 But as Cam continues to change, she has to decide once and for all if he really is her destiny, and if their “perfect” love can weather an uncertain future. Witty, original and unexpectedly touching, FAIRY TALE will captivate fans of TWILIGHT and WICKED LOVELY. From Goodreads: When Ty witnesses a stabbing, his own life is in danger from the criminals he's named, and he and his mum have to go into police protection. Ty has a new name, a new look and a cool new image -- life as Joe is good, especially when he gets talent spotted as a potential athletics star, special training from an attractive local celebrity and a lot of female attention. But his mum can't cope with her new life, and the gangsters will stop at nothing to flush them from hiding. Joe's cracking under extreme pressure, and then he meets a girl with dark secrets of her own. This wonderfully gripping and intelligent novel depicts Ty/Joe's confused sense of identity in a moving and funny story that teenage boys and girls will identify with - a remarkable debut from a great new writing talent. From Goodreads: The first in a trilogy. Get out your tape recorders, crystals, and extra batteries— you’re about to go where our world meets the spirit world.Psychic Kids, Paranormal State, Haunting Evidence—these and countless other television shows are making believers out of millions of people: Ghosts exist, and they’re living right beside us. For centuries, individuals have been trying to prove the existence of ghosts. But without hard evidence, it’s been difficult to make the case. But now as science and technology have progressed, ghost hunters have been able to use scientific means, along with more traditional psychic tools, to make their case. Photographs, video recordings, and sound recordings are all producing some amazing results.In this new series, Ghost Huntress, meet Kendall Moorehead, a seemingly typical teen. When her family moves from Chicago to the small historical town of Radisson, Georgia, her psychic abilities awaken. She’s hearing, feeling, and seeing things that seem unbelievable at first, but with the help of the town psychic, Kendall is able to come to terms with her newly emerging gift. So, together with her new BFF, Celia, Kendall forms a ghost hunting team. They’ve got all the latest technology. They’ve got Kendall for their psychic. Now they’re going to clean up Radisson of its less savory spirits.The story is fiction. The science is real. Welcome to a new reality. From Amazon: Following an attack on her family, fifteen-year-old Thora is enslaved by a brutish Viking chieftain, Bjorn Svanson. A healer and a midwife, Thora is valuable. She also has visions of the future . . . and in one she foresees Svanson's death. When her prediction becomes reality, Thora recognizes that another of Svanson's slaves is a man she has seen before-a man from recurrent visions who is destined to be part of her future. Assuming Svanson's identity, the slave and Thora use the dead man's ships to escape. Their destination is Iceland, the then uncharted 'land of fire and ice'. To succeed they must first win over Svanson's crew, and their journey is fraught with hardship and danger. But their troubles are only just beginning. Soon, newcomers are among them and someone is stealing from Thora's medicines to cause terrible harm. Under suspicion herself, can Thora unmask the real culprit and clear her name? 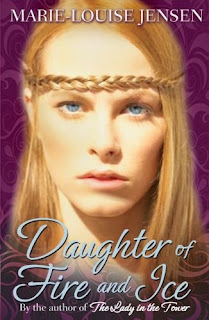 And can Thora and the man now known as Bjorn ever really hope that their pasts won't catch up with them? Wonderful books! Ooh, is Daughter of Fire and Ice out now? I've been waiting for the release! And wow, you've got When I Was Joe! I hope you enjoy it - and all these great books! Great books this week, enjoy! What a great week! 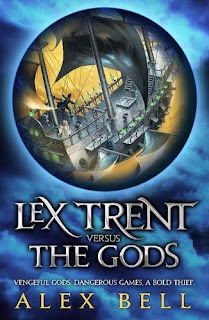 I personally can't wait to read Lex Trent - it looks so good! Looks like an awesome week, even if you were carried away! 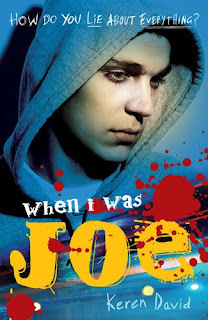 I loved When I Was Joe, and I'm pretty desperate to read Need, The Mark and Some Girls Are too - so that adds up to an amazing collection of books. I really hope they're all as good as they sound! 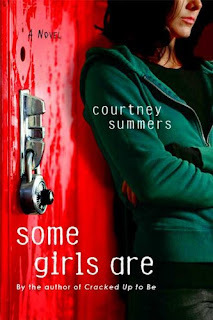 Some Girls Are looks awesome - I hope you enjoy it and I cant wait to read your review! There is absolutely nothing wrong with getting carried away in a bookstore... that's what I tell myself, anyway! :) Enjoy your great haul this week. I'm looking forward to you reviews of When I Was Joe and Daughter of FIre and Ice. Both are great books. Fab books! 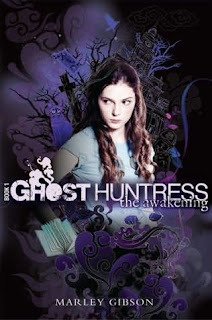 Need, Ghost Huntress, Need, When I Was Joe and DEmon Princess are all amazing. Hope you enjoy them as much as I did! Oh me, oh my! Some fabulous books this week. 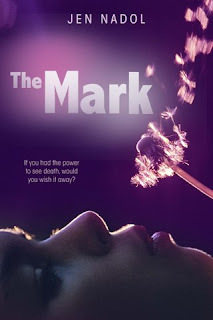 Can't wait to hear what you think of The Mark. If you like it, I'll buy a copy. It sounds just my kind of book. Lex Trent...I have it too. I can't imagine loving it but you never know. I want the mark so bad. Such a pretty cover. I really am distracted by pretty covers. Typical me. Anyway good books this week. Hope you enjoy. Oh gosh, I forgot about Daughter of Fire and Ice. I had seen it somewhere before and it looks so good. Have to make a note of it to get it from the Book Depository. Happy reading! These look terrific! I hope you enjoy all your books. The Alex Bell book sounds good :) Enjoy your books! 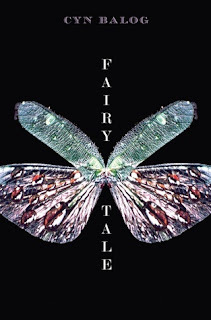 I love the cover of Fairy Tale! That alone would make me want to read it. Sad, I know.